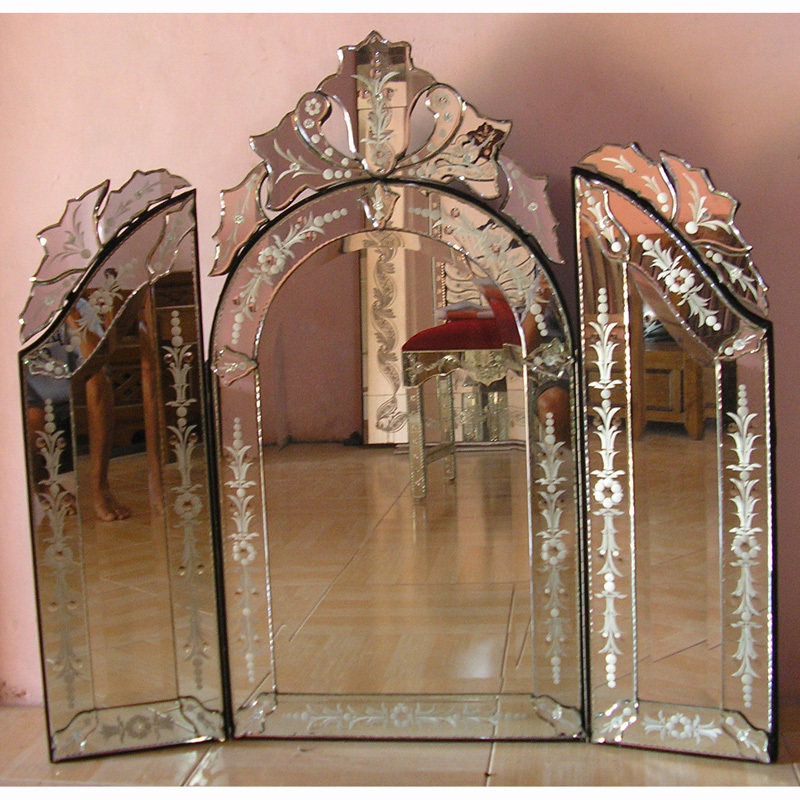 The best quality of venetian style mirrors for sale is the best thing that you can use for your home. Do not forget that you can choose several options of style oval, round, box with vertical or horizontal position of the mirror in the catalog. How to get the best product or ordering decorative mirror is? You have to adjust accordingly to the size of the wall that will be displayed on the mirror. every model of Venetian mirrors have a special impression. Size is very important because it can provide space alignment. mirrors are too small not too good produce as well as a Venetian large mirror with a narrow space. how do you install it. surely you dizzy right? Choosing what style mirrors that fit the theme you decorate. Venetian mirrors now have many style options. Erg right style oval mirror, round mirror, mirror rectangular or square mirror with crown. To note again is to choose a frame. Choosing frame also need to consider the style of the interior. Because it is important to define the look of the room and have a harmonious unity with the room. I gave a little picture that is classic. should you choose oval motif with lots of carvings or crown that surrounds the center mirror frames. This frame is suitable for presenting classic feel thick. Traditional style. should you choose wall mirrors with tri fold venetian mirror style or three panel mirror.because it can give the impression like a Mirror Rono and traditional nuances. while you should opt for a minimalist style rectangular, square eight. This looks like harmony with minimalist furniture. Clear mirror will also align this style. For this contemporary style inspired by the shape of the sun. Consists of a circular mirror which is surrounded by small pieces of ornaments form the beam line. This will be an interesting artwork on the walls. This is a the last choice is price. get a good quality of mirrors does not mean expensive. Margo Glass Gallery can provide many options Venetian mirror style besides motif with good quality of cheap price too.